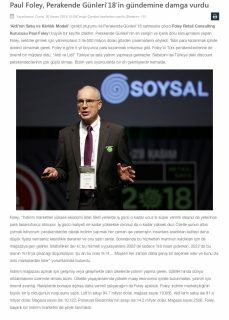 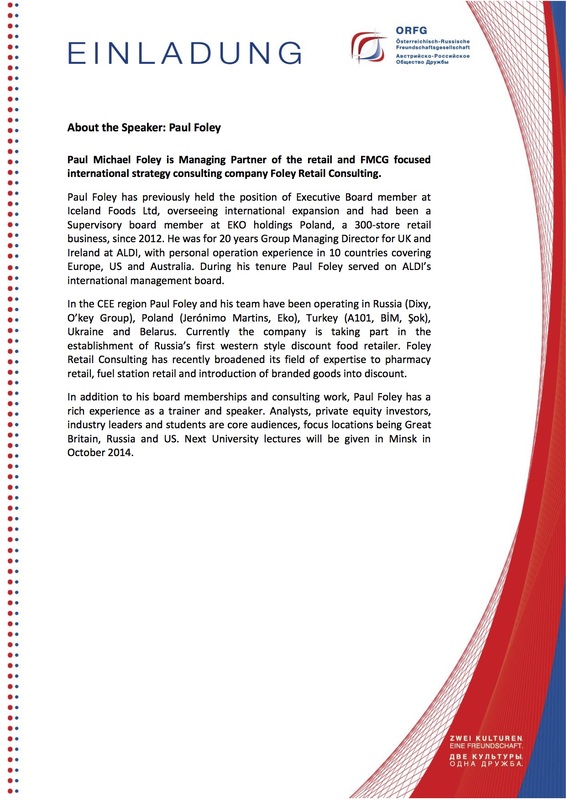 Paul Foley was invited to held a speech at this years Retail Days in Istanbul. 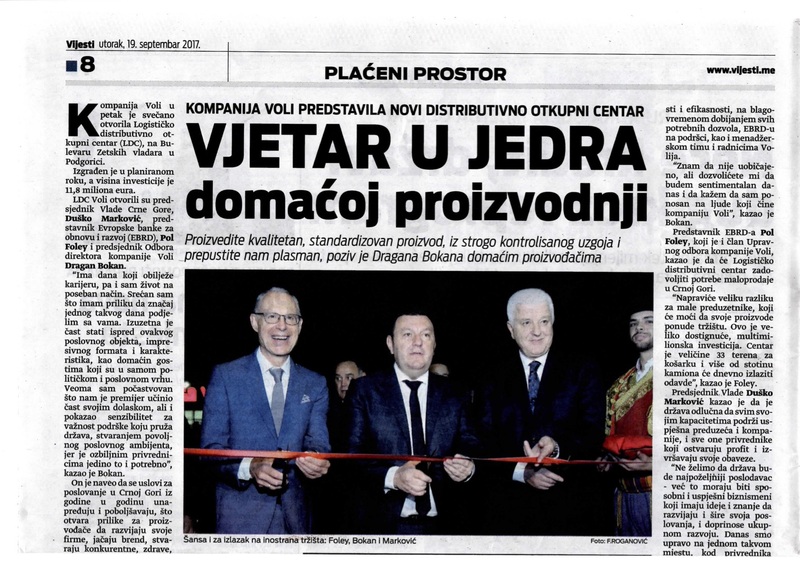 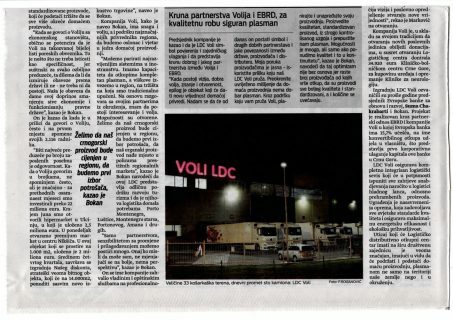 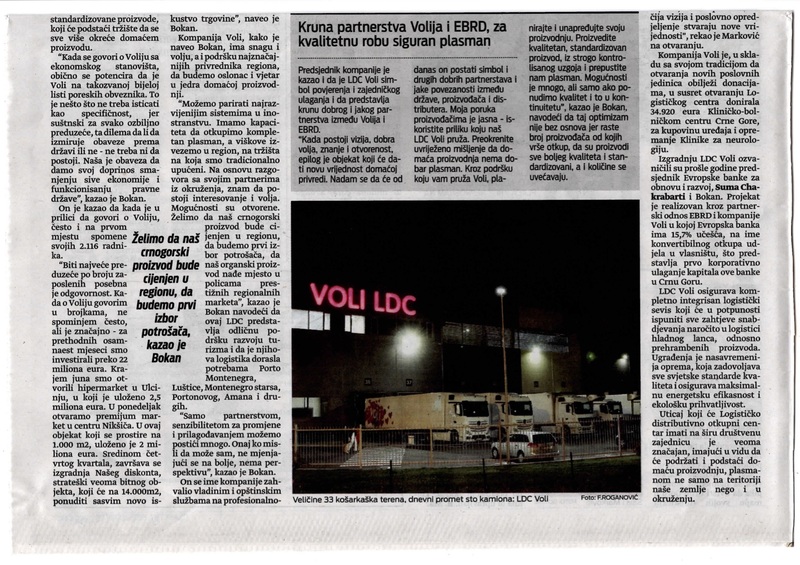 Paul Foley was invited to speak at the opening ceremony of the Voli logistics center in Podgorica, Montenegro. 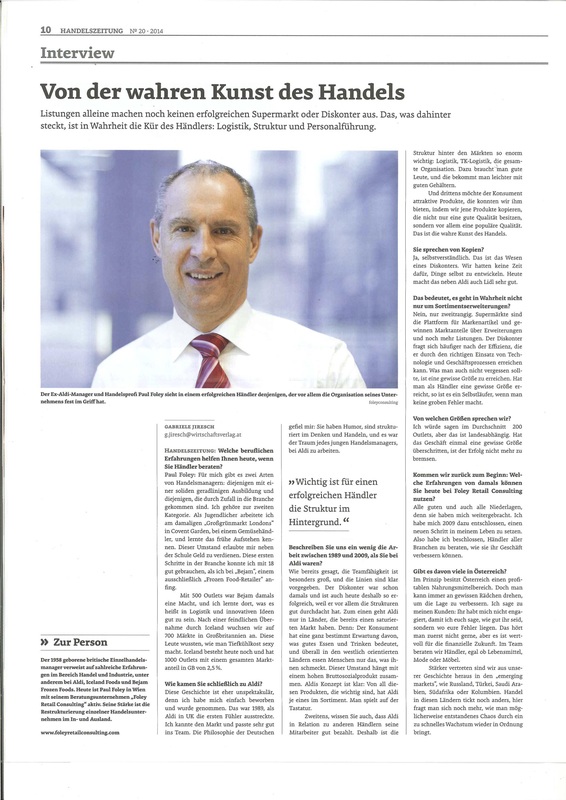 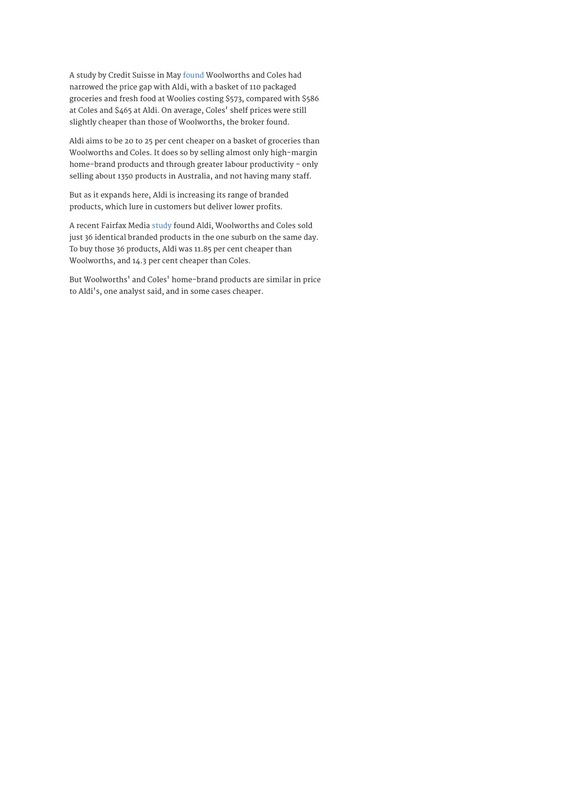 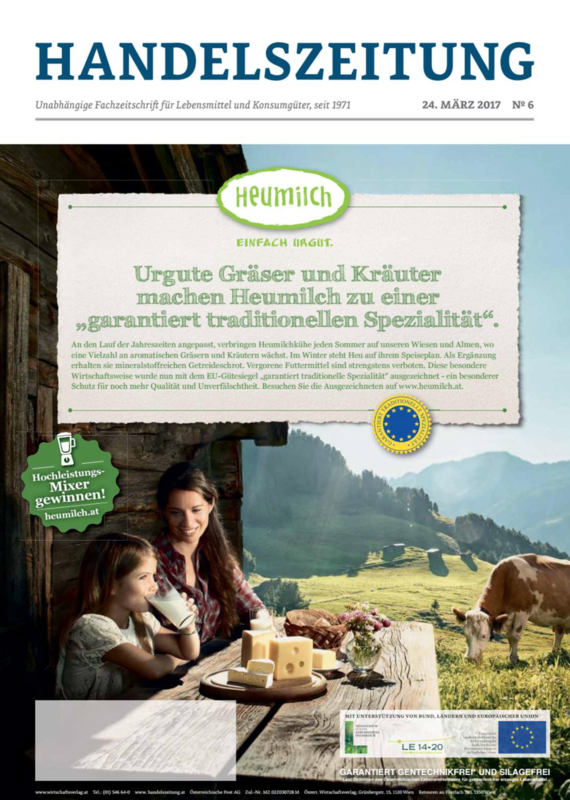 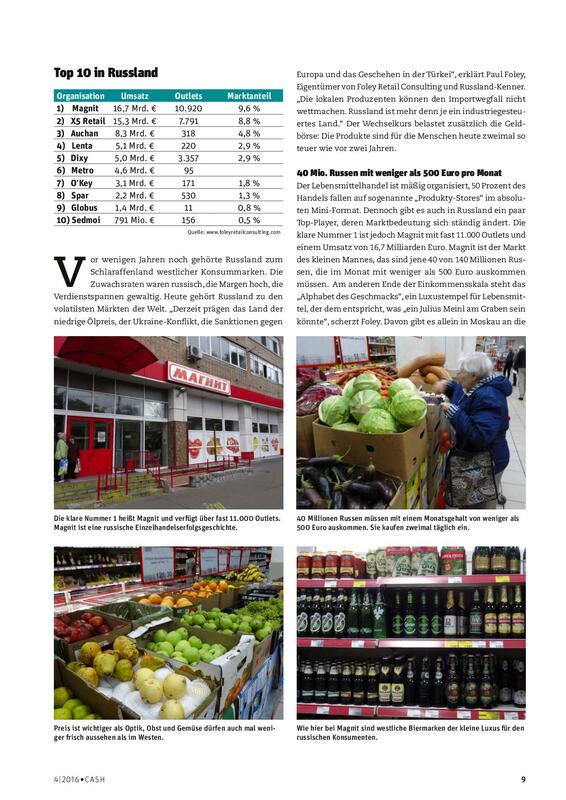 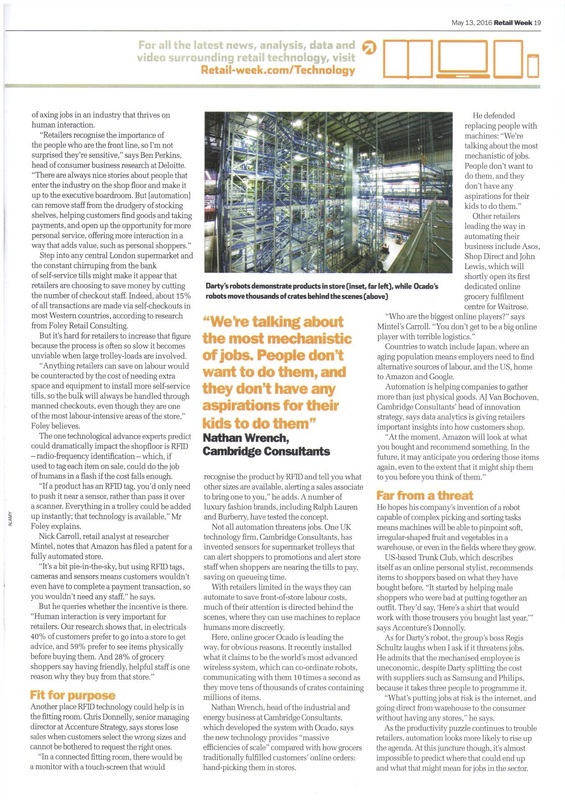 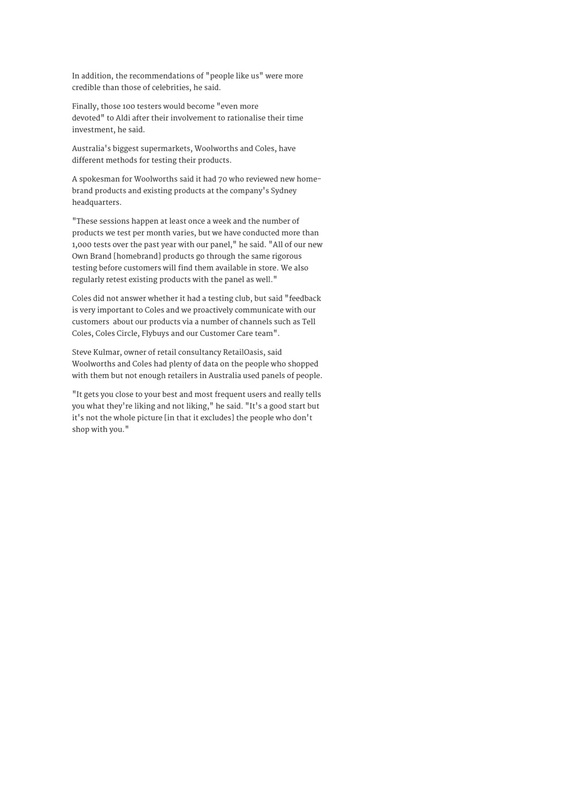 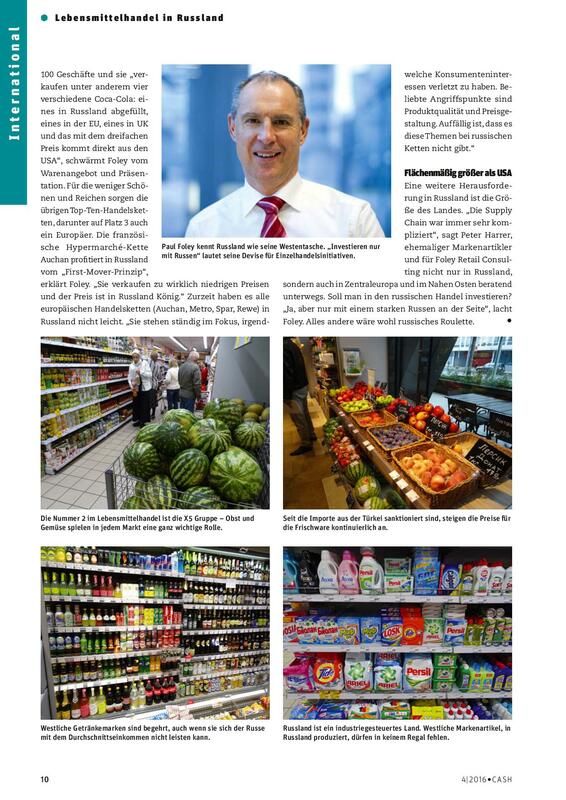 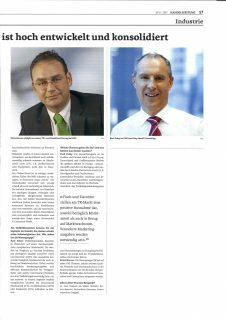 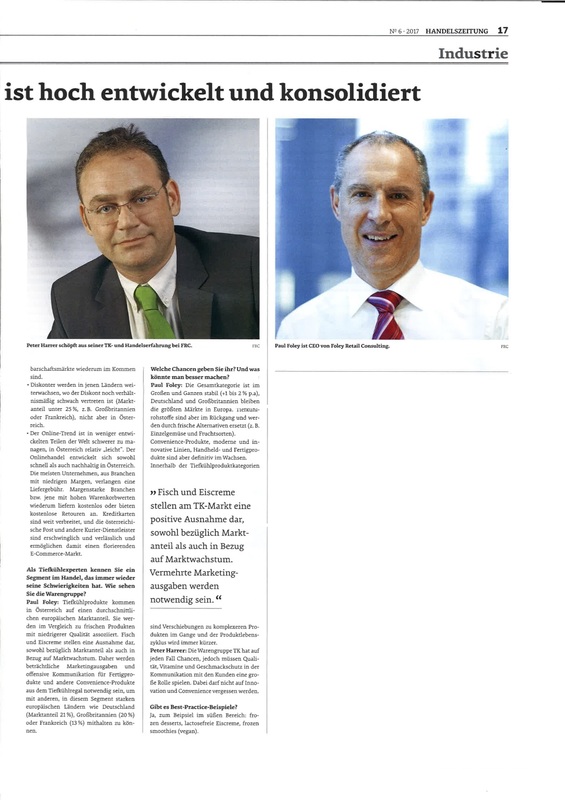 Paul Foley and Peter Harrer were interviewed for the Austrian trade magazine Handelszeitung to discuss the Austrian grocery retail industry with focus on frozen food. 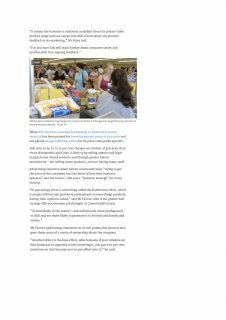 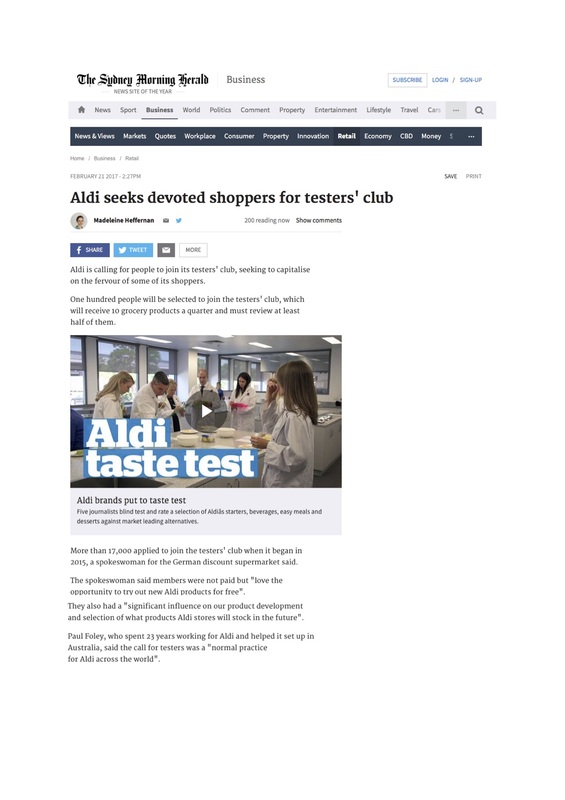 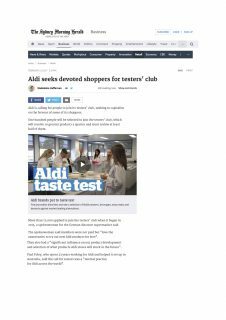 Paul Foley comments on Aldi taste tests. 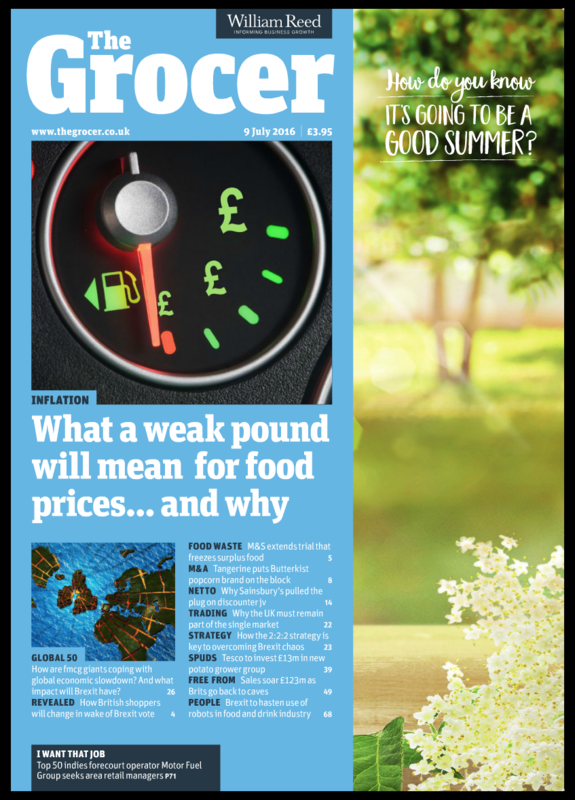 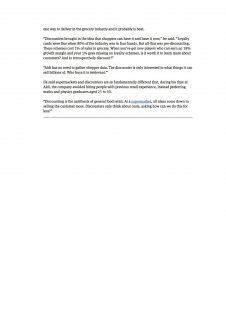 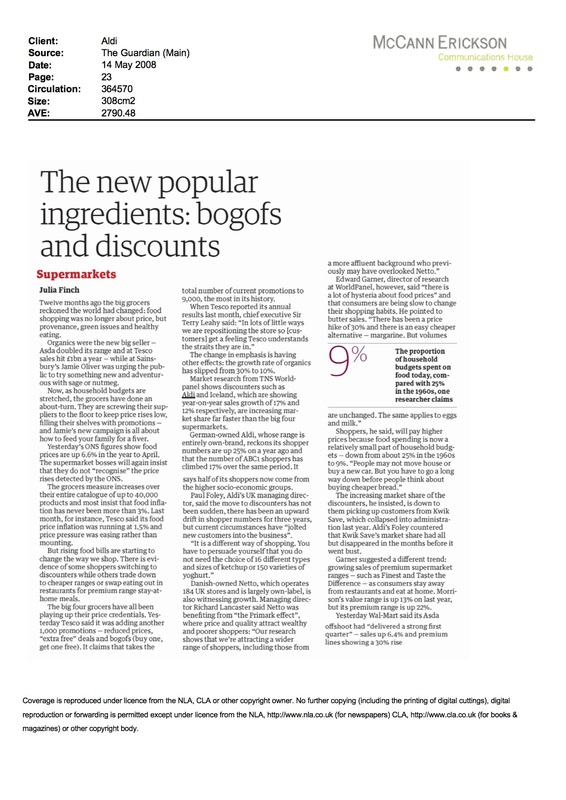 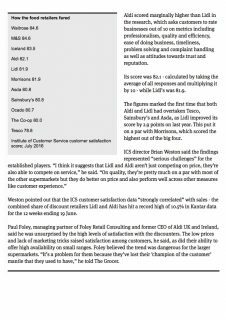 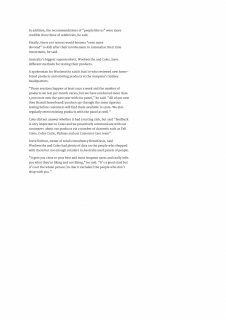 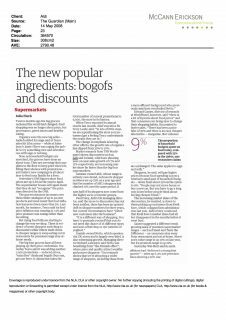 Paul Foley comments on the price gap between discounters and supermarkets. 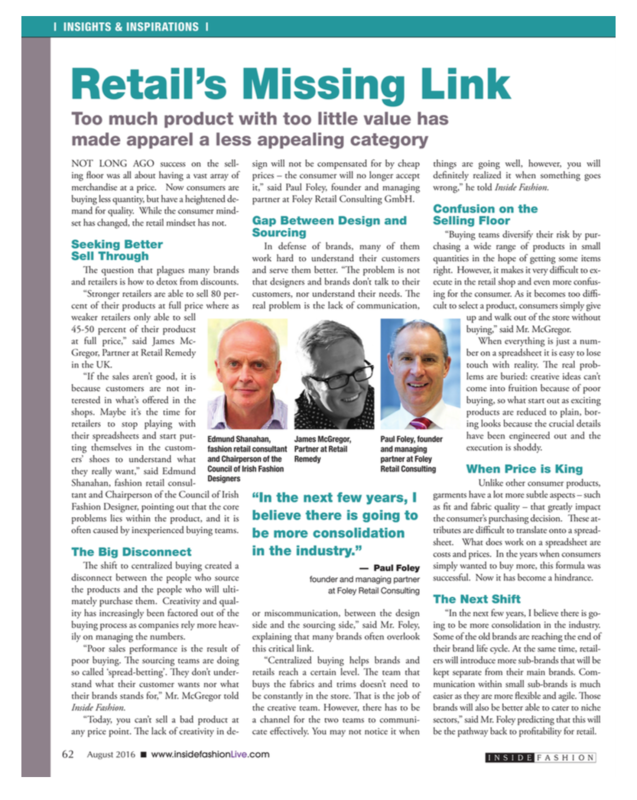 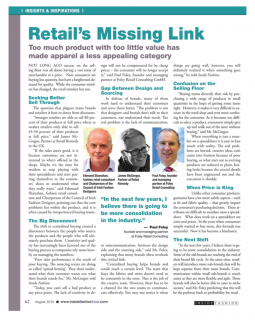 Paul Foley on trends in apparel retail. 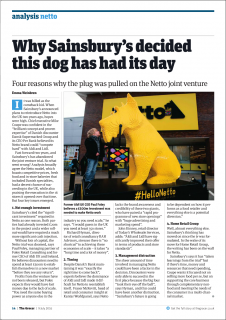 Paul Foley comments the financial cost of the failed joint venture between Sainsbury’s and Netto. 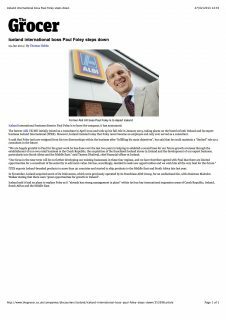 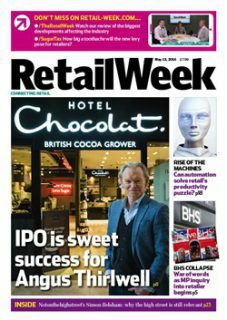 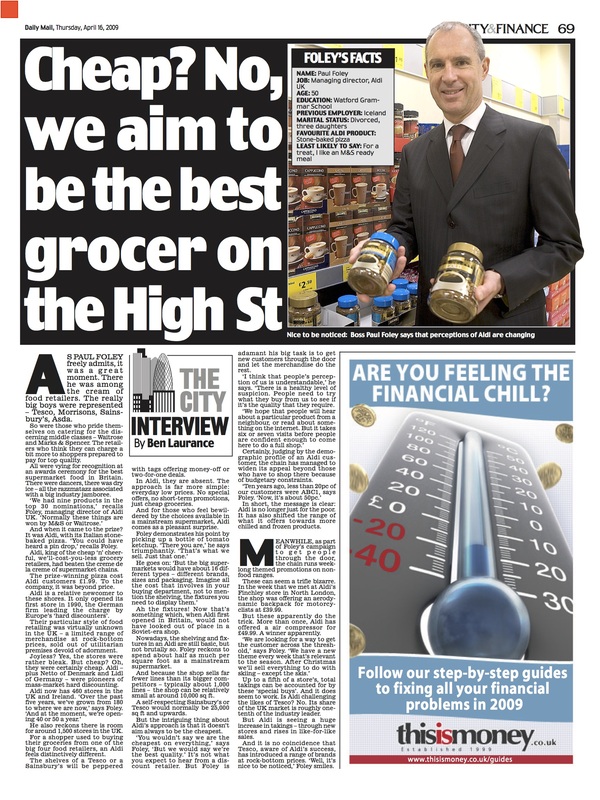 The success of Aldi and Lidl in the UK. 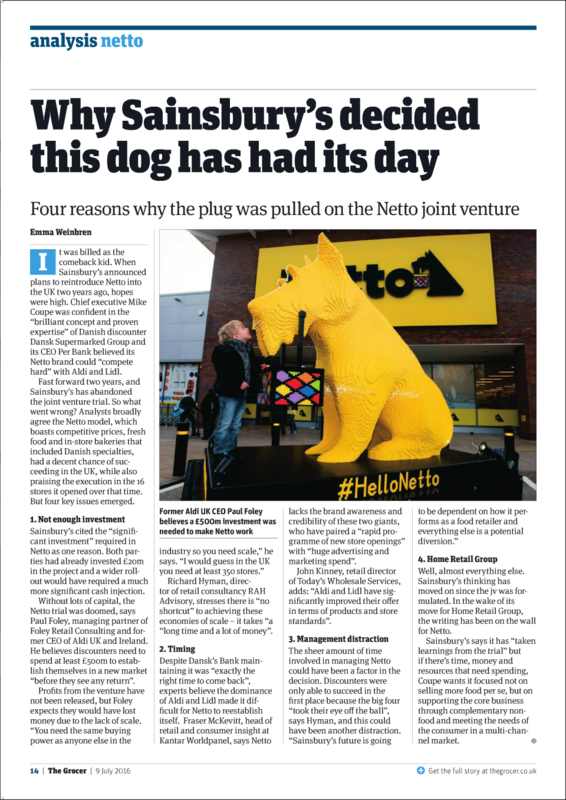 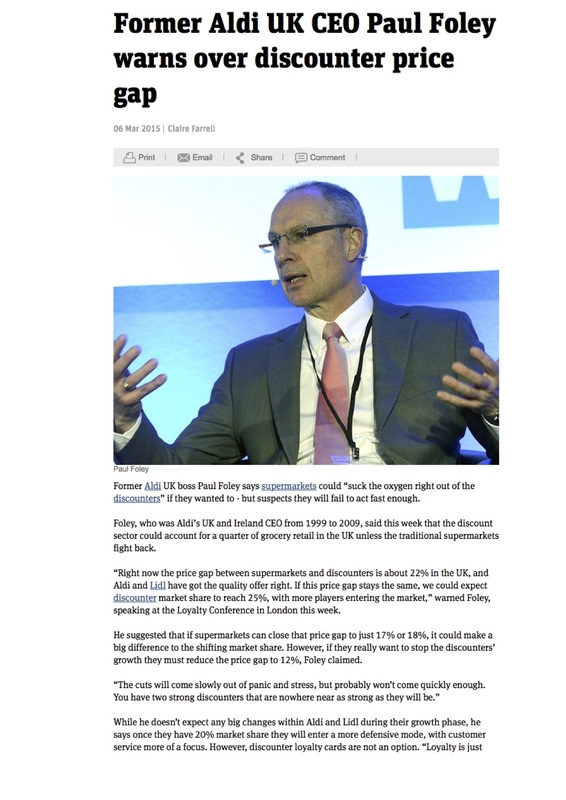 Paul Foley gives his opinion on the end of Netto in the UK. 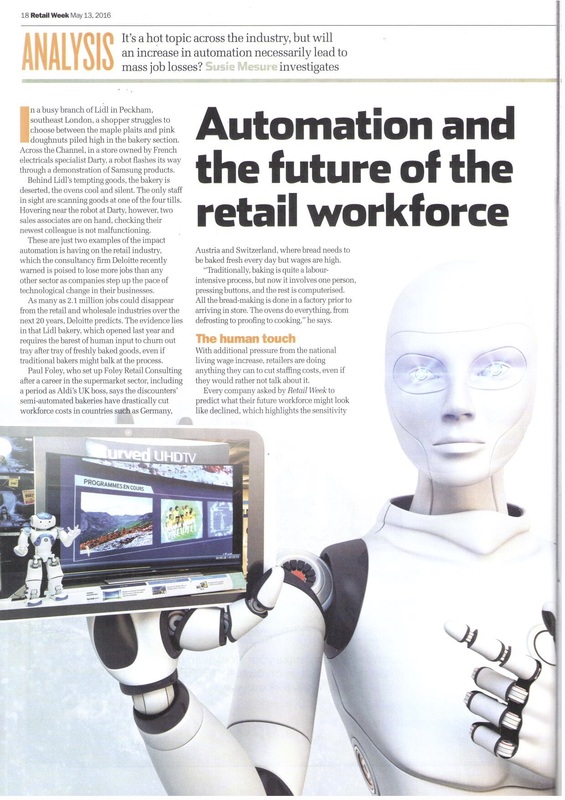 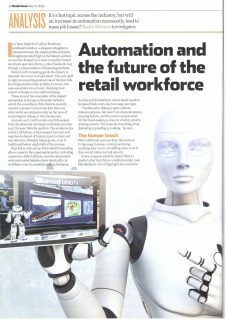 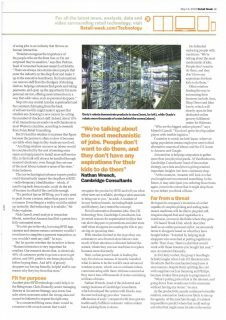 Automation and the future of the retail workforce. 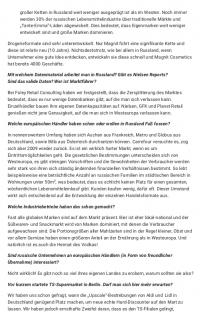 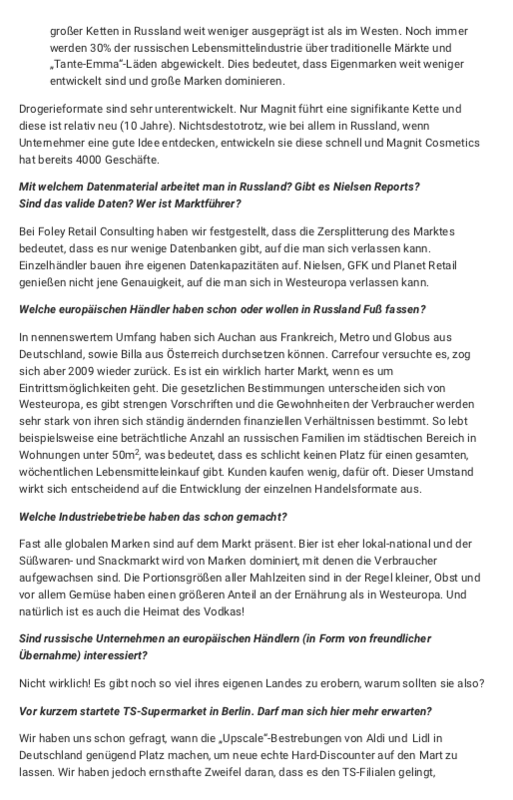 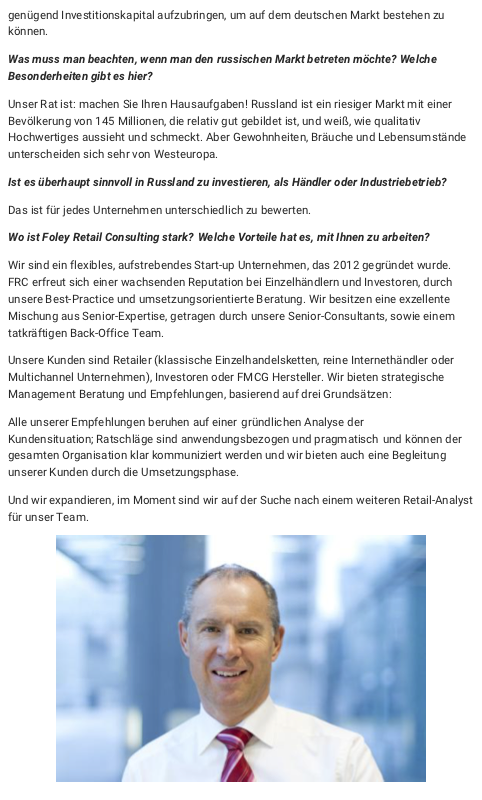 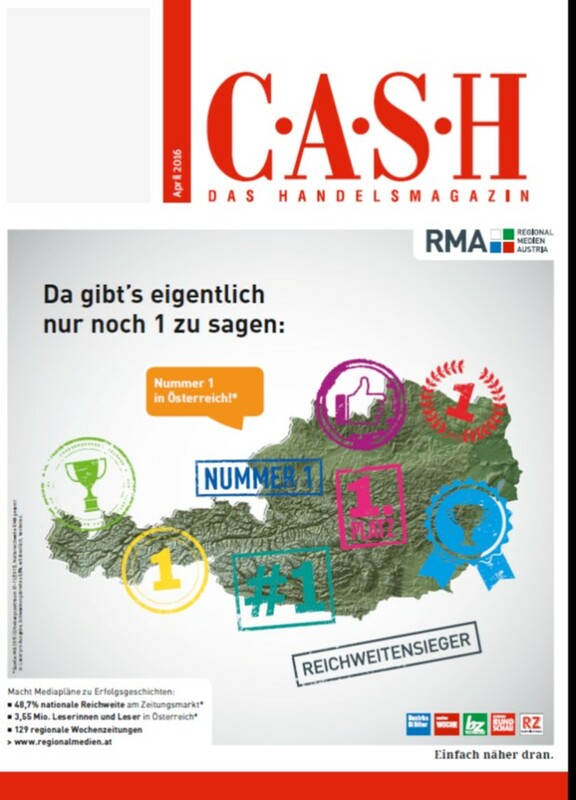 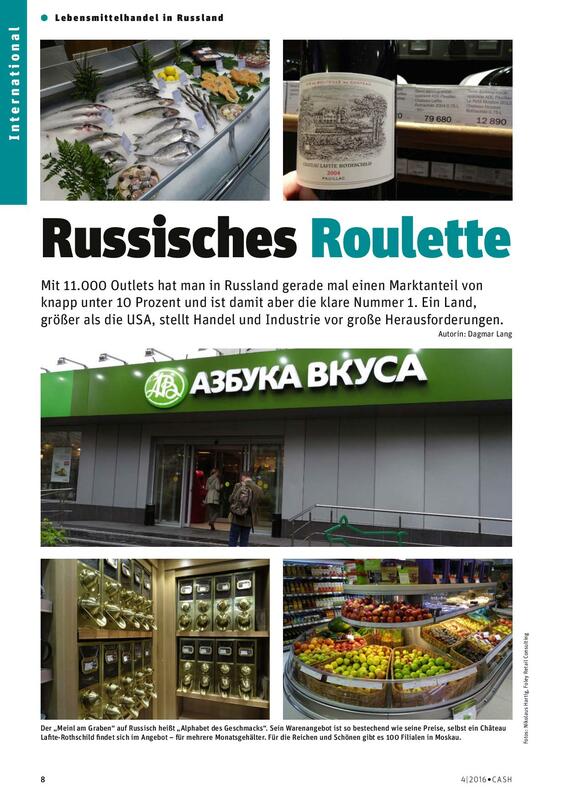 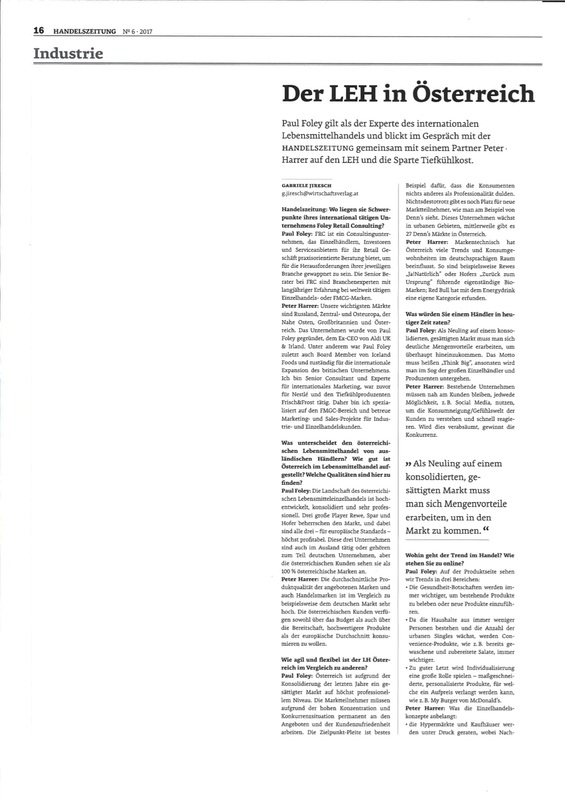 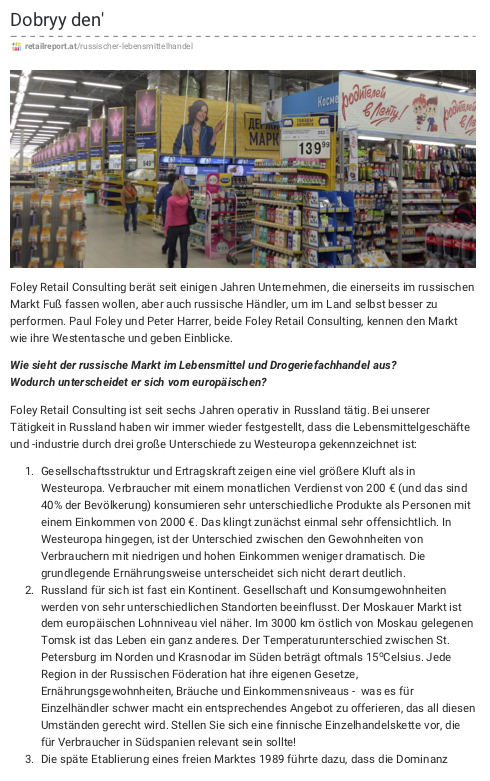 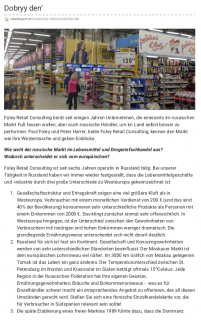 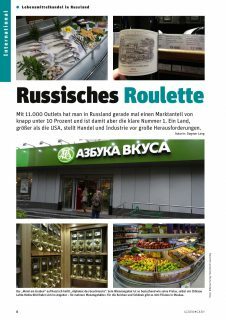 Interview with Nr.1 trade magazine in Austria about the development of retailers in Russia. 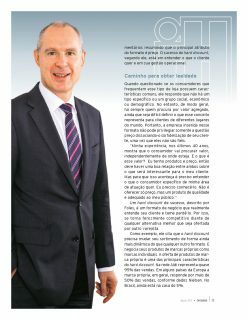 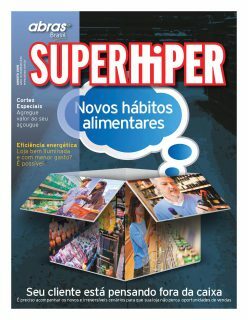 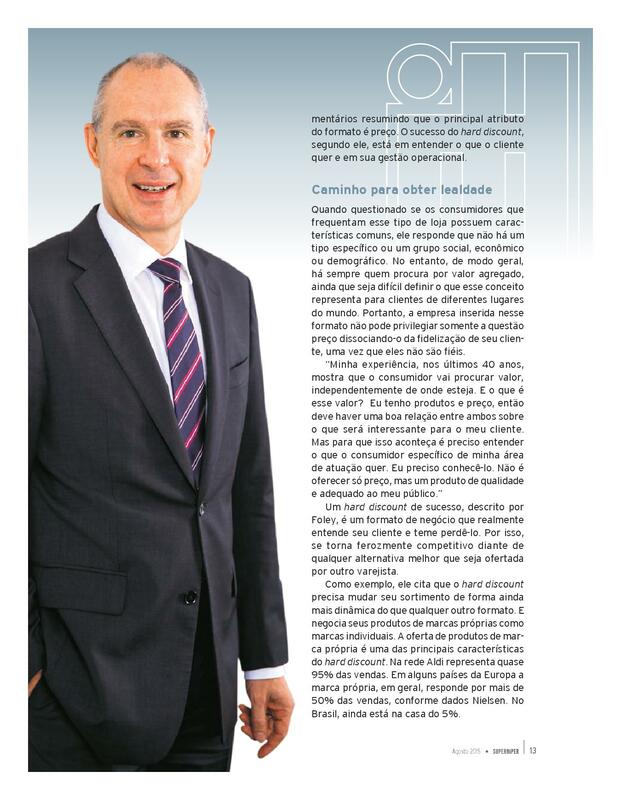 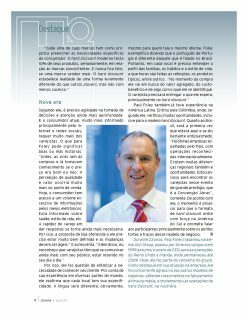 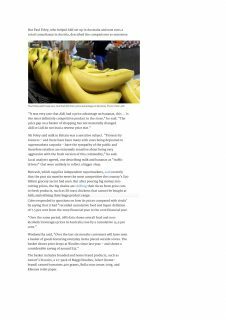 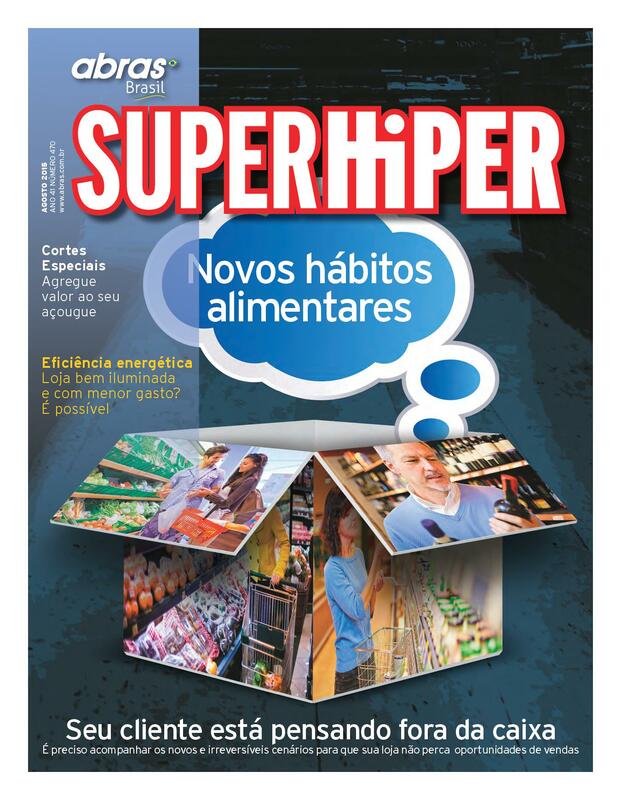 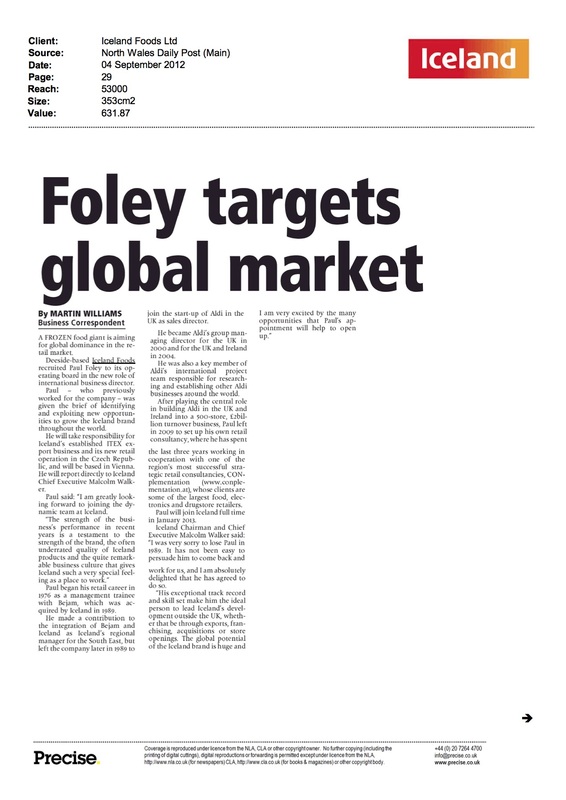 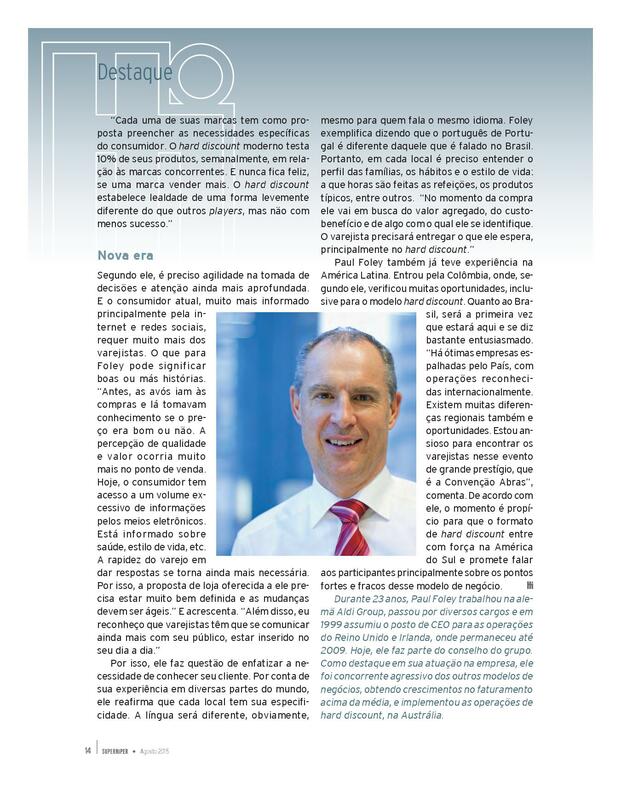 Interview of Paul Foley with the official journal of The Brazilian Association of Supermarkets (ABRAS). 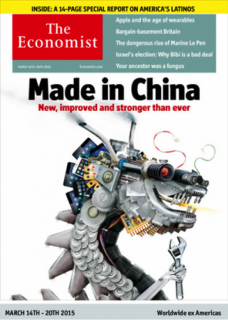 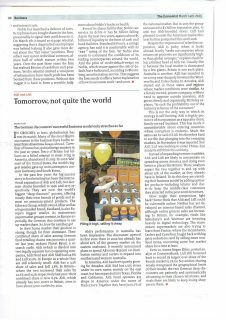 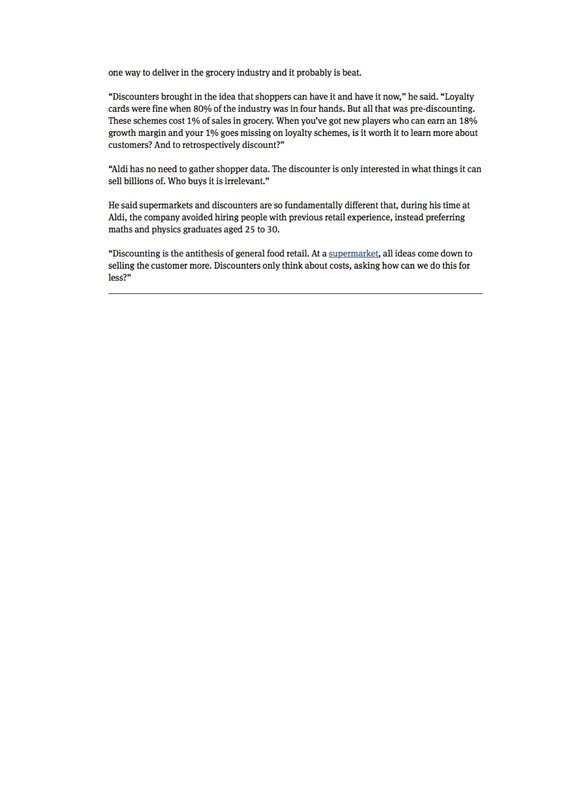 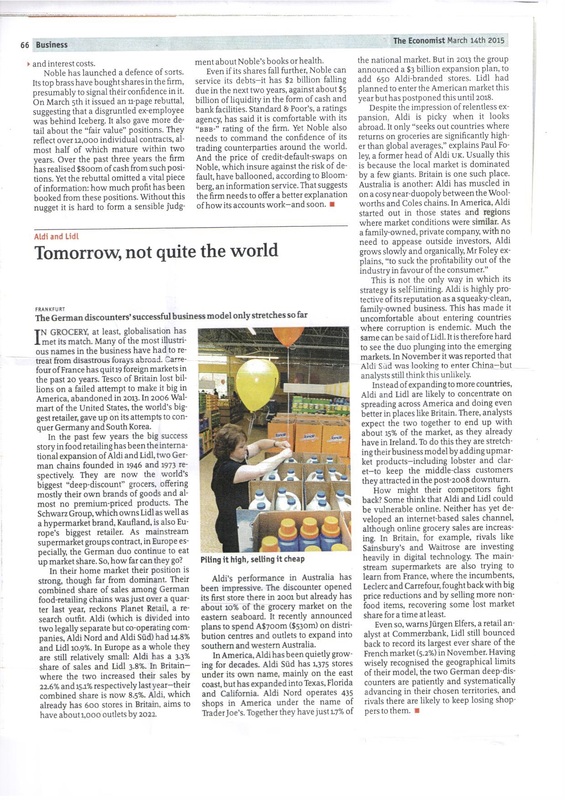 Article in The Economist about the development of the discount chains Aldi and Lidl. 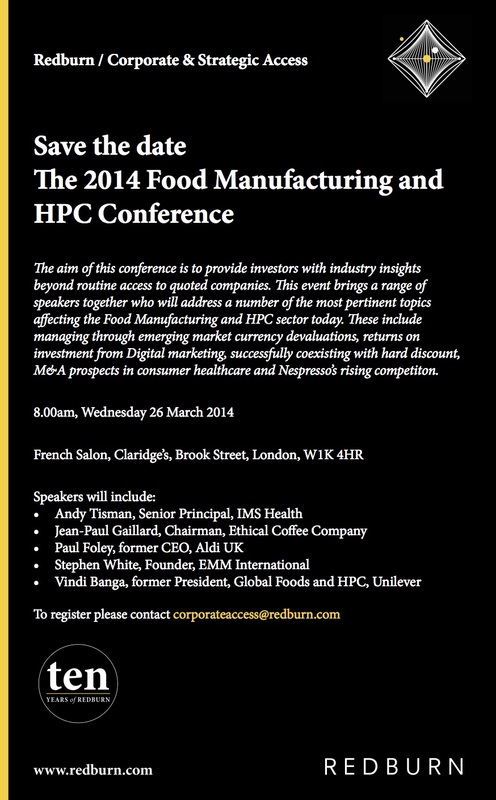 Paul Foley discussing the discounter price gap and how supermarkets could fight back. 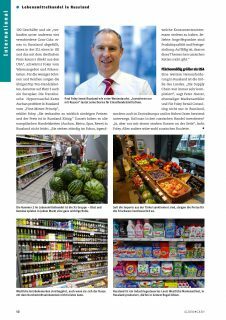 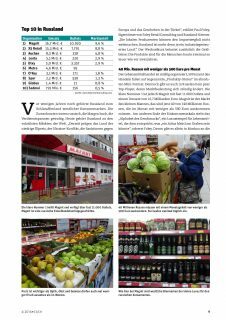 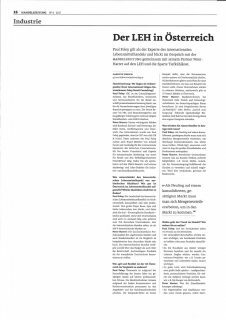 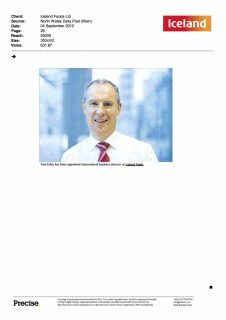 Interview of Paul Foley with “Handelszeitung” – an independent trade magazine for the food and health & beauty retailers in Austria. CEE Career Breakfast in Vienna – at this event Paul Foley outlined the importance of retaining talent in a company. 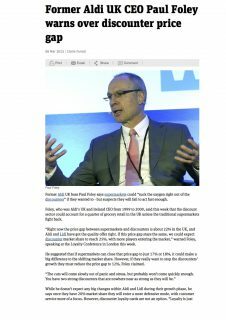 Paul Foley spoke at this Redburn Conference to provide investors with industry insights beyond routine access to quoted companies. 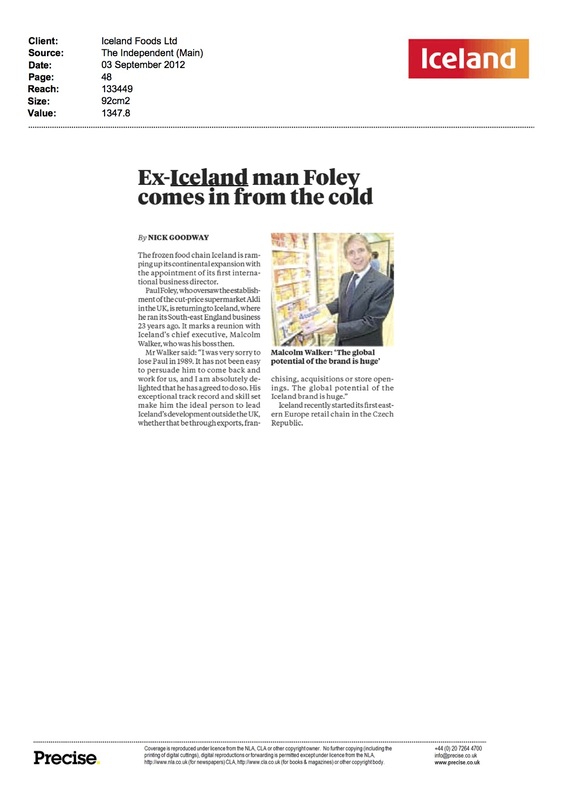 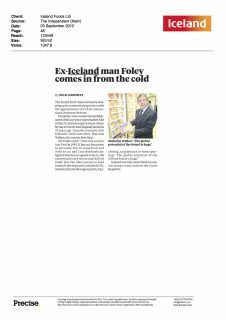 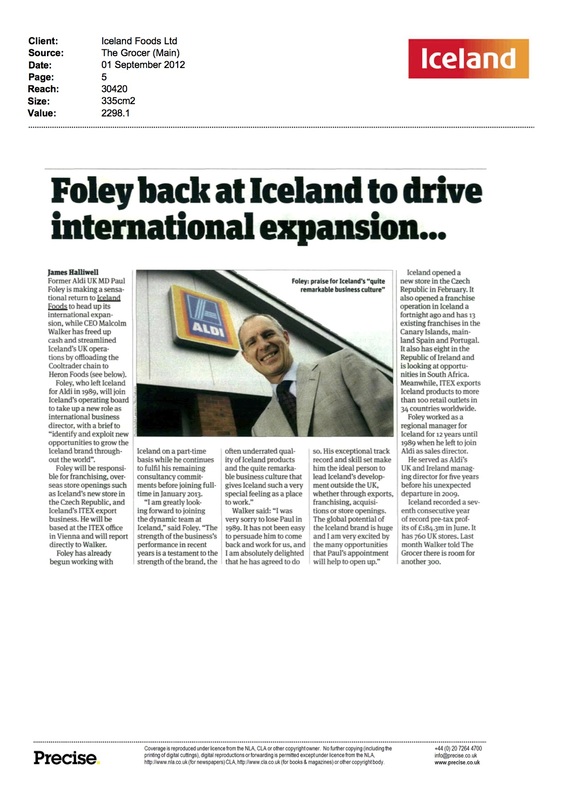 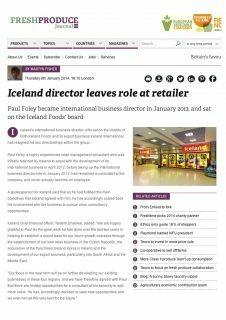 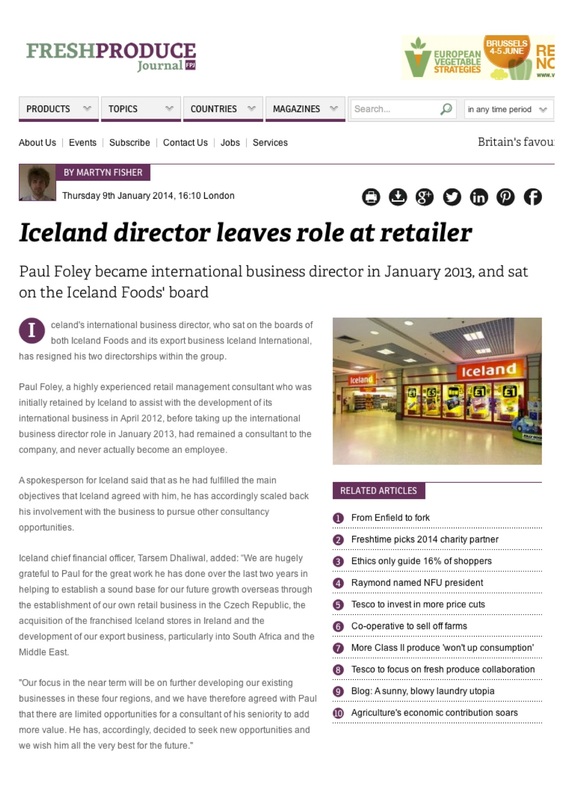 Paul Foley joining Iceland as international business director. 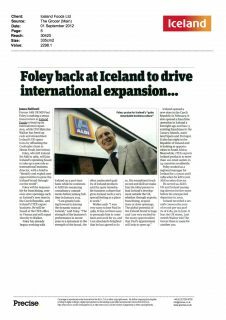 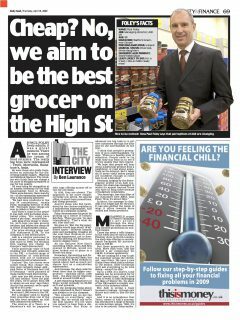 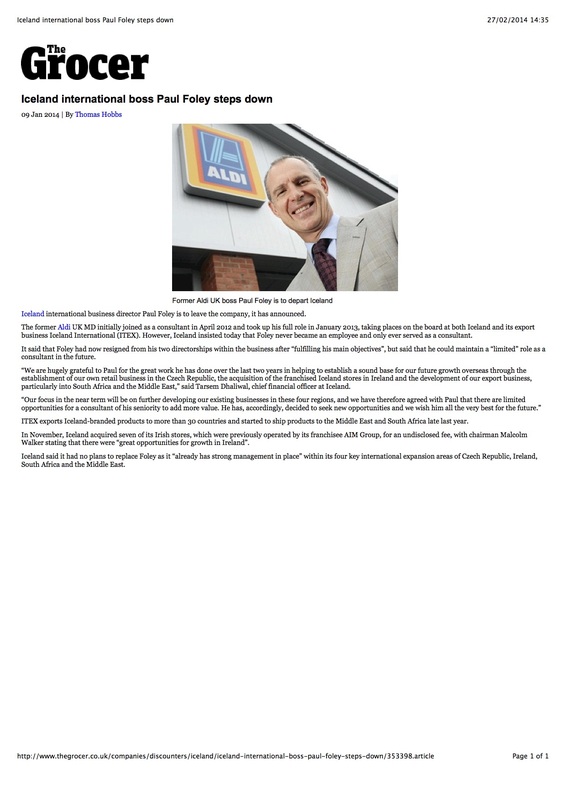 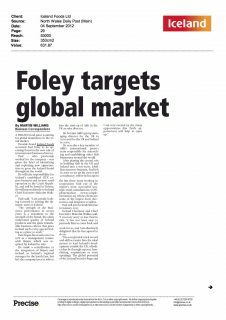 Paul Foley on Aldi’s success. 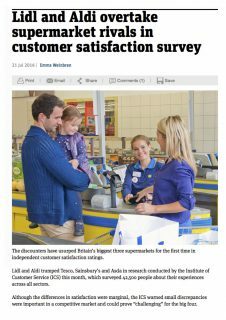 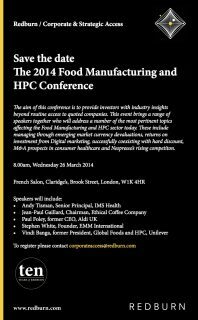 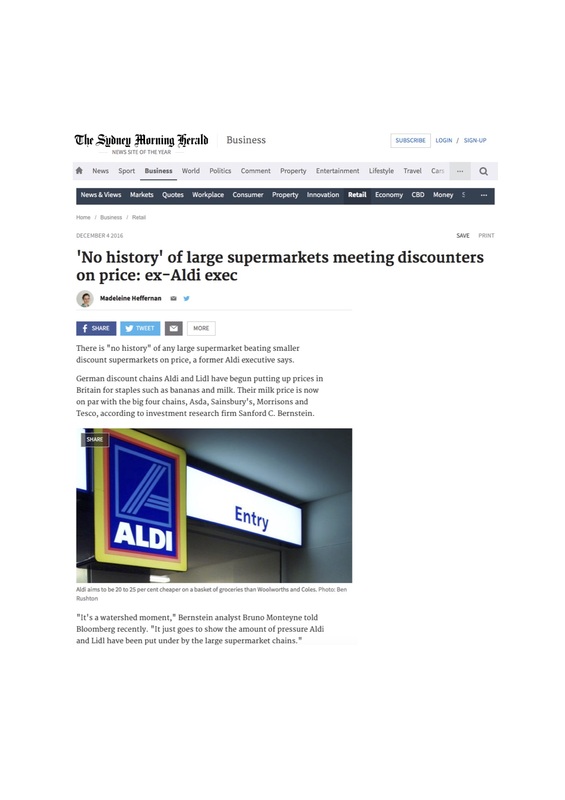 The rising popularity of discounters.